An earthquake is the result of a sudden release of “strain” that is built-up between two tectonic boundaries or at a fault line*, usually slipping in opposite directions. The following video by the California Academy of Sciences shows a computer simulation of an earthquake at the Hayward fault which is one and the most concerning of several faults in California. The most famous fault being the San Andreas fault. A fault is a fracture in the rocks of Earth’s crust. There three main categories of faults: Strike-slip, dip-slip, & Oblique-slip. 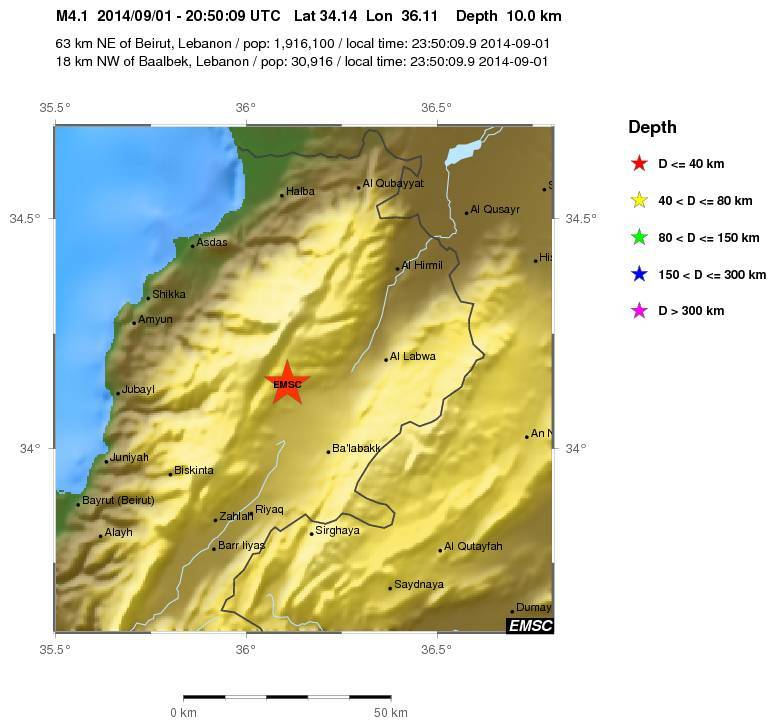 I have just found out that an earthquake has hit Lebanon. I did not feel it but 7 witnesses have reported the earthquake so far. Here’s an interactive map of the epicenter and the witnesses’ locations.